The SEAT Arona is set to be the next model to get the Cupra treatment. Reports suggest it’ll have 200hp from a 2.0-litre engine, and feature all of the sporty touches from the Cupra Ateca. It could be the best compact SUV for you if you’re looking for something fast – it won’t have many similarly powered alternatives. The Cupra Arona is expected to be officially revealed in 2019, before going on sale at your local Hartwell SEAT dealership in the later stages of 2020. As the range-topper for this popular SEAT crossover, the Cupra version will cost more than other Arona models – expect it to be available from around £26,000. However, it’ll be very well equipped – read on for more details about interior specifications. When it hits dealerships, the next Cupra SUV will have a 2.0-litre four-cylinder turbocharged petrol engine, shared with cars such as the VW Polo GTI. As a result, you’ll have 200hp to play with and you’ll be able to slingshot from 0-62mph in under seven seconds. Despite this, the VW-badged car offers a claimed 48mpg, so expect the Arona to be similarly frugal. Although the picture here is a render from Motor.es, it’s highly likely that the Cupra Arona will look very similar. It’ll share a lot of exterior bits with the fast Ateca, including large diamond-cut alloy wheels, a large new front grille and many Cupra badges. It’ll look much more aggressive and sporty than the standard Arona, from whichever angle you’re looking at it. At the rear, a chunky boot spoiler will be fitted, plus a rear diffuser and four exhaust pipes. Tweaked suspension will sit the car slightly closer to the ground to improve handling and reduce body roll through fast corners. You’ll still be able to choose a range of contrasting colour combinations. Most of the interior will be carried over from the rest of the Arona line-up, but sporty touches will remind you that you’re in the performance model. Supportive seats will keep you in place at all times, and you’ll have a flat-bottomed steering wheel with red stitching and a Cupra badge. Suede-like Alcantara will be used on the upholstery and some of the trim, and red ambient lighting will enhance the sportiness through day and night. As the top Arona, you’ll have the very latest tech at your fingertips. A 6.5-inch colour touchscreen controls all of your media, phone contacts and satellite navigation – and features smartphone mirroring and voice commands. Adaptive cruise control, automatic emergency braking and lane departure warning will keep you safe and out of danger. Befitting of the Cupra badges, the screen will also display detailed driving information such as cornering style and engine temperature. On the outside, this fast SEAT crossover will include full LED headlights and taillights, plus 18-inch alloy wheels. Elsewhere, SEAT has discontinued the three-door Mii and Leon SC. The company has also made the decision to stop selling diesel-engined Toledo models. 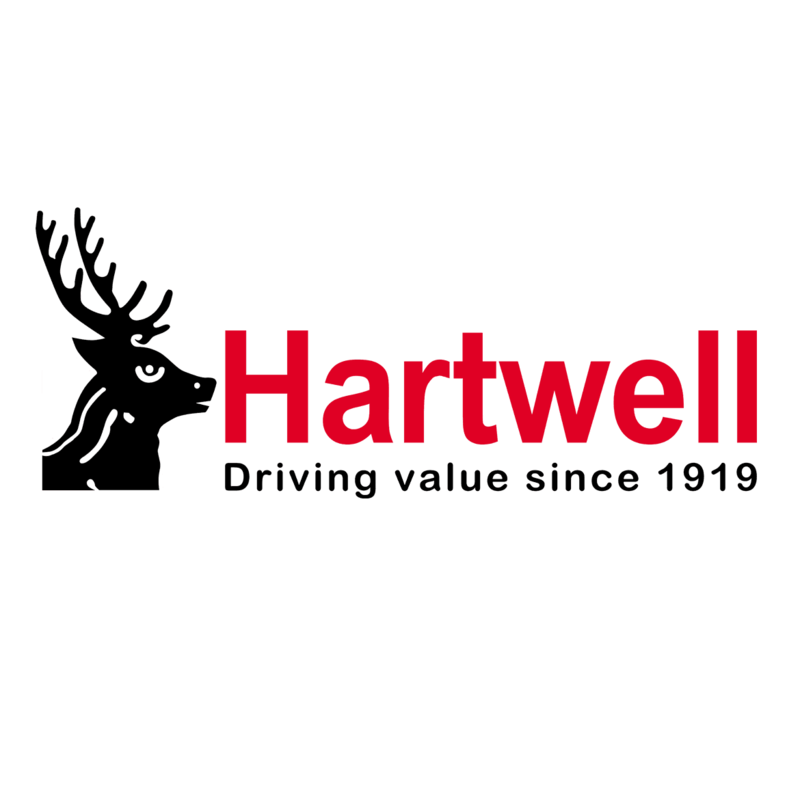 If you would like to get your hands on one of these fantastic cars, make sure you get down to your local Hartwell garage before they sell out! Like the look of the Cupra Arona? Share this article with your friends using the icons at the top of the page.